Today #MakeItMine takes on Ploughman’s Lunch! What is #MakeItMine? 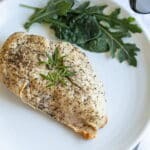 Twice a month we take a classic dish and we each put our own spin on it. All bloggers are welcome to join in! Bloggers: Click here to sign up for the #MakeItMine Newsletter. You’ll find out which dishes we’re tackling in the weeks ahead so that you can add them to your editorial calendar and plan to join in on the fun. Ploughman’s Lunch was the first thing I fell in love with in England. The second was my husband. I don’t think he’s jealous though. He knows that my love for cheese will always come before him. And he’s o.k. with it. So long as I promise to share. Why do I love this lunch so much? It’s not like having a little slice of cheese in a sandwich. It’s not like having some shavings of cheese on a salad. Oh no. Ploughman’s Lunch is like having cheese for a meal. But, here’s the thing, as much as I did fall in love with Ploughman’s Lunch within days of arriving in the UK for the first time, I did not fall in love with the accompaniments. Seriously. Branston’s Pickle, one of the traditional Ploughman’s accompaniments, is one of those things that, it seems to me, only real Brits love. The other oft-used Ploughman’s Lunch accompaniment is pickled onions. Since my parents love these little balls of weirdly sweet onioniness, I can’t blame my nonBritishness for my dislike of them. I think the reason I dislike them is because I don’t like sweet pickled things. For instance, I am in love with dill pickles but am in hate with anything involving cucumbers and sugar. So then, when I make this lunch at home, I skip the Branston’s Pickle and the Pickled Onions and make up a condiment that I am in love with. 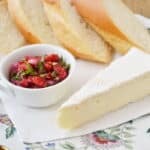 This Raspberry Salsa is perfect with a Brie Ploughman’s. It’s lush and fruity but with a lot of tang to cut the richness of the cheese. And it’s just plain pretty. 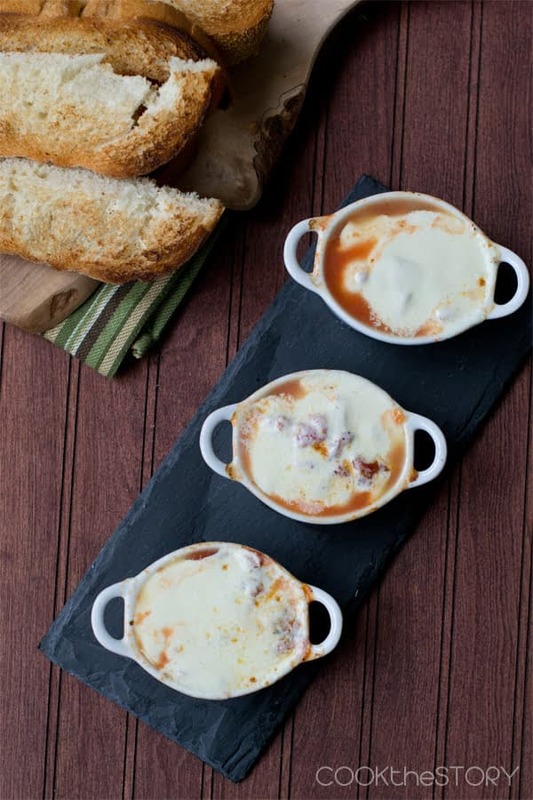 If you love as much cheese with your lunch, be sure to also check out this recipe for Mozzarella Fondue Soup. Cheesy goodness! I hope you enjoy this Ploughman’s Lunch Recipe. I like to serve a Ploughman's Lunch when I have guests who are arriving after a long journey. When people have been driving or flying for a long time it's hard to guess how hungry they'll be. With the Ploughman's they can attack and have a big piece of comforting cheese and lots of bread or they can just snack a bit as we chat. In these situations I usually serve it with a basic green salad as well. 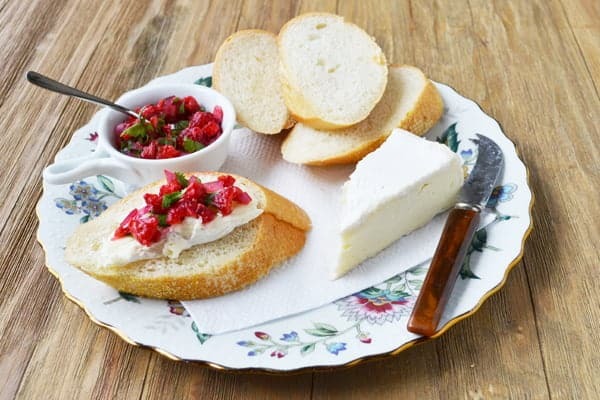 The raspberry salsa in this recipe is the perfect accompaniment to brie. Try it also on a turkey burger (dripping with melted brie, optional). 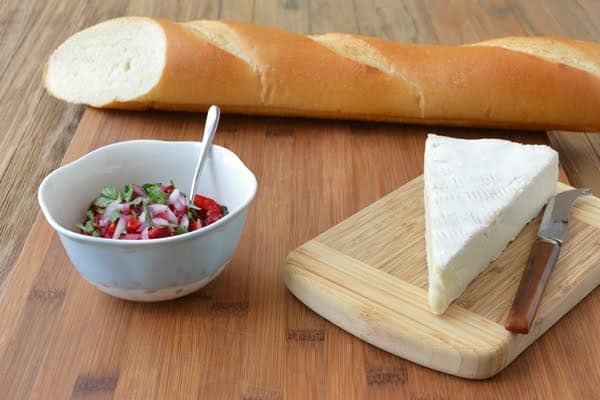 Put the Brie and the baguette slices on a cutting board or serving platter. 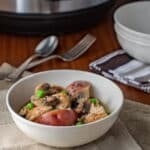 Combine the remaining ingredients in a small bowl. Eat cheese. Be happy. Here are the other fabulous recipes that are part of this week’s #MakeItMine Challenge. Find out what our next challenge will be and join in on all the #MakeItMine fun by clicking here. Thanks Susi! I’m only half with you on the beans. The idea always seems weird and not appetizing. But then when I have it, I always enjoy it. Strange, right? This post brought back some good memories. A trip my sister and I took where we shared a lovely Ploughman’s lunch together. 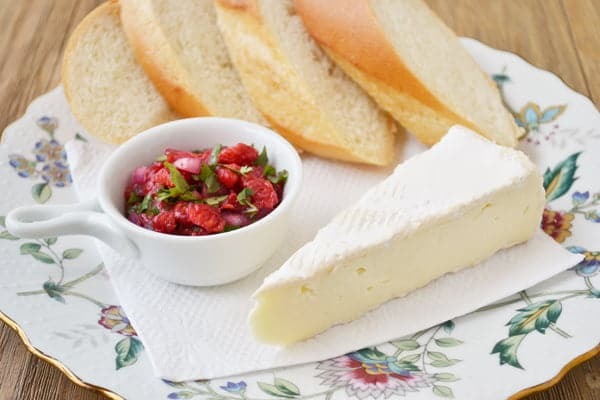 Now I’m craving for some cheese and fresh homemade bread. Laura, I have to say that I do love strong English cheddar and even Stilton! It’s those strong-flavored condiments that I just can’t wrap my tastebuds around. We hope to see a #MakeItMine recipe from you soon! 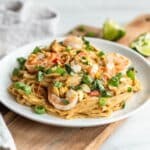 This is simple and very very tasty and elegant! I will have to try it! Can’t wait to see all the others. Cortne over at http://www.cocoinmagnolia.com has made a lovely Ploughman’s platter. So happy you like the look of it. It is one of the tastiest little relishes I’ve ever made. Couldn’t stop eating it!